Meet the new dining/library table. It arrived last week, but because of the dingy weather, the natural light wasn’t right until yesterday for taking a photograph. Both the top and base were purchased through Culp Associates. 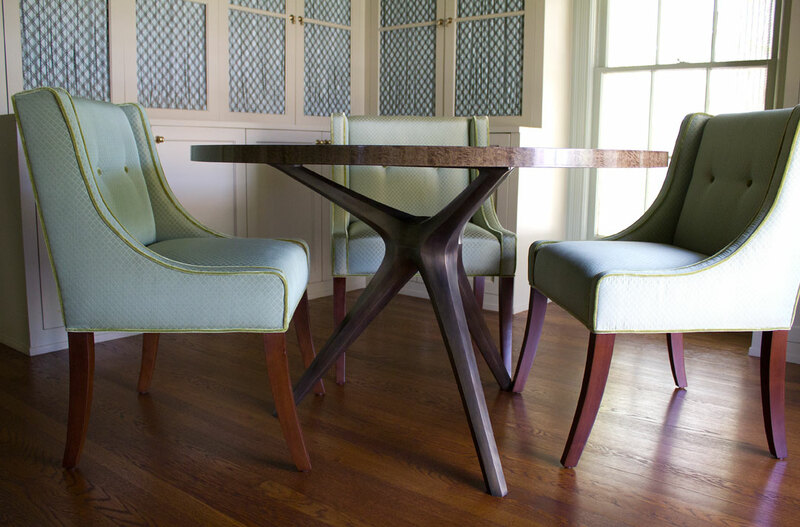 This ingenious combination of a top by Gregorius | Pineo with a base designed by Ironies was Charley McKenney’s idea. Sometime in the next couple of weeks, I plan to play around with various table settings. And of course, I will photograph and share the arrangements with you. 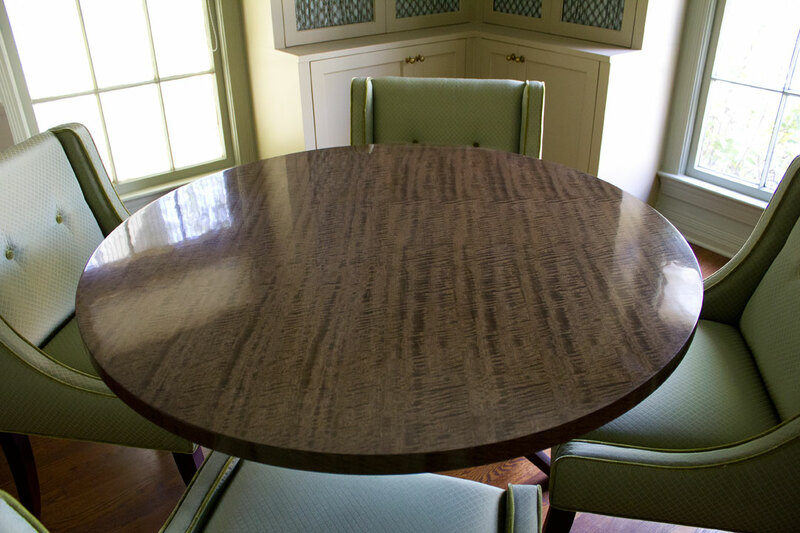 To see the top surface of the table click on the link below.